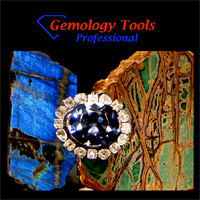 GemologyOnline.com • View topic - Faceting By Louis Eaton Shaw,Personal book by a dynamic man! Post subject: Faceting By Louis Eaton Shaw,Personal book by a dynamic man! Hello, fellow travelers and the next generation. In an effort to find something, I came upon a little book that is a mixture of general information and the specific world of faceting lived by Louis Eaton Shaw. It came with my original platform faceter that he had invented and patented (U.S. Patent No. 2,724,220) just a few years before I came to know him at age 15 (year 1962). 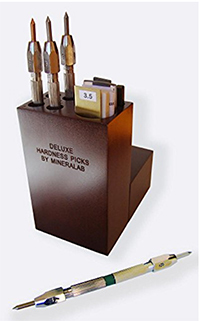 The book/manual has only 70 small sized pages, but was still filled with more than technical details on faceting his way. It overflows with his certainty of purpose and the joy of creative effort. Here was a man of the old school, that did not let negativism and the need to include every nuance on the subject, to halt his need to help those who were new to faceting. I went beyond the limits of his writing effort, along with his minimalist effort to make an affordable machine, many years ago. But it was the portal to my evolving world of faceting, that still uses an significantly upgraded platform faceter. ( A direct descendant of his effort.) It is the only path for me. He had invented many other items in his life and I will always be thankful that he turned his active, dynamic mind to faceting. I am sure that he never worried about making any money from his effort. And that can certainly be said about Faceting by Louis Eaton Shaw, which was made to lie flat by table to inspire you to work. My copy was signed by him and soiled be me. I just hope that I can keep it from being thrown out, when my last facet is polished. The world has moved on, but his spirit, distilled in this little effort, is still needed. Hi Bruce - your story reminds me of a Mr. Manchester of Seattle. 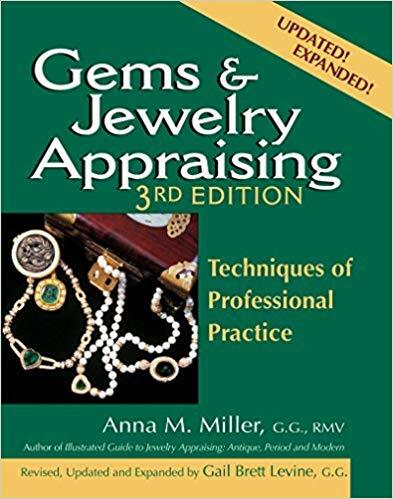 Many many years ago I saw him demonstrating his little hand faceter (very similar to the Lap-Lap) at a gem show, when I was perhaps 9 years old. Later than summer we went on a family vacation down to Seattle, during which trip Mom and I lead the whole family on a bit of a wild goose chase (that included going the wrong way up a one-way street) seeking out this Mr. Manchester in order to buy one for me. I should add we had nothing more than our memories of seeing this man and his faceter, and that he lived in Seattle. We even got his last name wrong, yet after visiting several shops and a community centre we got pointed in the right direction. After a lot of running around, we indeed located this man at his home. He was gracious and kind and more than happy to sell me one of his little devices. I faceted the first 3 stones of my life with that faceter, and I still have its sadly corroded remains in a box with the rest of my lapidary supplies. I still remember the wonder and amazement (and elbow grease that it took!) that came with turning a small piece of quartz into a brilliant gem. Unfortunately that and the two other stones have long since been lost to the sands of time (the quartz was accidentally washed down the kitchen drain... sniff sniff) but the fascination was ignited, and I've been faceting ever since. There are many of these unsung characters who helped create the hobby we now share. It's always interesting to hear more of these stories. Thanks for sharing yours. The views expressed here are the author's opinions and do not necessarily reflect those of his employer. Three copies are currently offered on Amazon. Used, of course, and not cheap. Shaw held several patents in the mechanical engineering line.